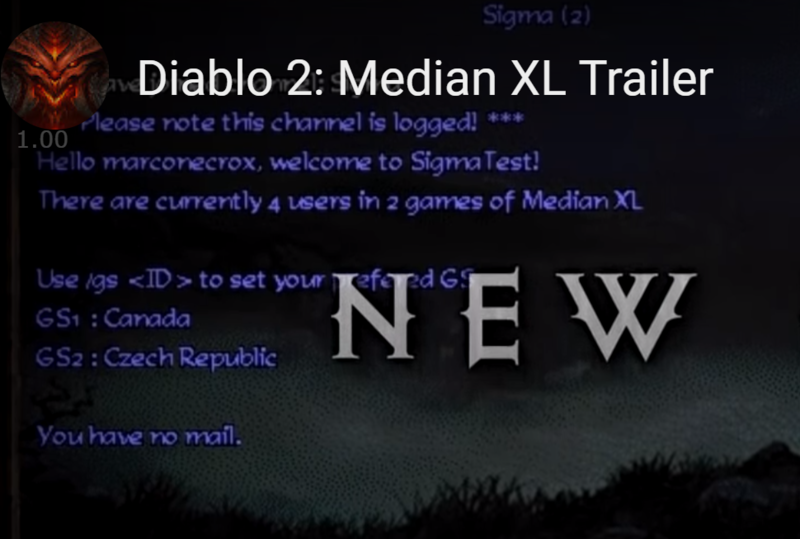 For those not in the known Median XL has been keeping Diablo II's hell fires burning for the past decade. An overhaul meets total conversion meets QOL upgrade. It's not Diablo II as you remember it, but any fan of the D2 experience should find a lot to like here. Median XL has been one of the reasons I go back to D2 as often as I do. The new version is due out on the 18th of Jan. A lot of new things including a new engine promising new UI and higher resolutions. wow this is an amazing add on for D2 will definitely be playing this. This will bring D2 alive again. in 10-20 years time we can look forward to continuing love for Diablo 3 by the fan community with similar mods... oh wait, that won't be happening because D3 has always online DRM. Is this offline only? I can't imagine this would have anything to do with the online servers because they have crazy anti-bot measures and stuff. Kinda wish they would just remaster the game so I don't have to run it in compatibility mode and play at 800x. I'm pretty excited for this, especially since they're adding new servers with this release. Seems like a big one. Last edited by Bt; 22nd January 2019 at 11:24 pm. Such a brilliant Diablo 2 expansion. Is this a mod in the typical sense of the word, or is this a completely "new" game written to act and look identical to D2 with improvements? Its a total conversion. So think Fallout New California or any of the TES total conversions. It's still core Diablo 2 with a lot of the structure there, just a lot more content and breadth of character build options due to expanded skills and items. It is built on the Diablo 2 engine. So you'll need to have that installed. That's what I thought, but the video says a brand new engine, which is what got me thinking. Silly Q - but how does this work install wise? Can I have a Battle.net of D2 installed and it will work? Tempted to break out the D2 battlechest and install this again as I enjoyed previous versions. The reality though is I will probably just keep playing Path of Exile while I wait for Torchlight Frontiers. Thanks for the heads up. I might try installing it this week in case I decide to give it a go over the long weekend. All times are GMT +13. The time now is 4:00 am.